Ralph is a twenty two year veteran of the United Nations. His tenure has included serving on diplomatic missions around the world as well as working on various peace initiatives with the United Nations Department of Peacekeeping Operations. Mrs. Sally (Salwa) Kader, President and founder of USFMEP, is a global peace advocate who tirelessly works to build bridges between the United States and the Arab and Muslim worlds. Mrs. Kader is a well-known and respected public speaker in topics of interfaith dialogue, human rights, youth empowerment and women’s rights. She has spoken at the UN headquarters and across the continental US, in Europe and throughout the Middle East to a wide variety of audiences. Peter Lloyd was an Australian diplomat for thirty years and was Australian Ambassador to Iraq when the Iraqi Armed Forces occupied Kuwait in August 1990. He remained in his post until shortly before the commencement of Operation Desert Storm In 1991-92. He was also a visiting Fellow at the Australian National University in Canberra when he assisted in founding the Center for Arab and Islamic Studies (CAIS). Previously the Lebanese Ambassador to the United States, Dr. Riad Tabbarah is Director of the Center for Development Studies and Projects and former Staff of the ESCWA / United Nations. Robert McFarlane was the Former National Security Advisor to President Ronald Reagan from 1983 to 1985. He now chairs an energy development firm in Washington, D.C.
Mrs. Libby Lloyd was the former president of UNIFEM Australia, which supports the United Nations Development Fund for Women. She is the Chair of the Australian Government's Violence Against Women Advisory Group and a member of the Australian Government's Advisory Group on Refugees. In addition, she is a Board Member of the Australian White Ribbon Foundation. Moreover, she has recently been appointed a Member of the Australian Council for Australian Arab Relations by the Australian Foreign Minister, Stephen Smith. Sr. Diane Marie Steel is the President of University of Saint Mary and the President of Kansas Independent College Association. She is also the President of the Kansas Collegiate Athelete Conference, a trustee on the Board of Trustees for the Kansas Independent College Association and the Kansas Independent college Fund Executive Committee, and serves on the advisory committee of the U.S. Army Command and General Staff College in Ft Leavenworth, Kansas. Judge Vagn Joensen is the President and presiding Judge of the Trial chamber of the United Nations International Criminal Tribunal for Rwanda (ICTR). 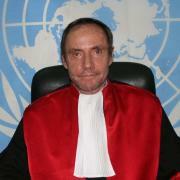 He was first elected as ICTR President on February 2012, and then re-elected to a second term in April 2013. Before joining the Tribunal, the successor to the ICTR, Judge Joensen was a judge at the Danish High Court, Easter Division, in Copenhagen for more tha na decade, and served as an international judge at the United Nation Mission in Kosovo (UNMIK) from 2001 to 2002. General Farghal was appointed Director General of the Jordanian Armed Force's Center for Strategic Studies as of 1 November 2013. After a distinguished career spanning 39 years, General Farghal retired from active duty on 30 September 2013, with his last assignment being the JAF's Chie fof Staff, Personnel. He was commissioned in 1966 following his graduation from the Royal Military Academy, Sandhurst. 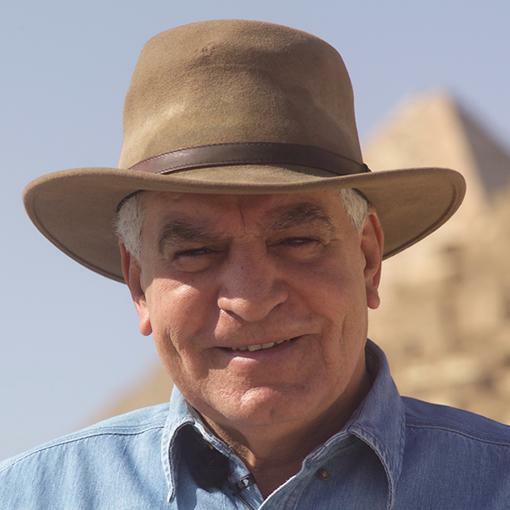 Dr Zahi Hawass is an Egyptian Archaeologist, and Egyptologist, and former Minister of State for Antiquities Affairs. He has also worked at archaeological sites in the Nile Delta, the Western Desert, and the Upper Nile Valley.